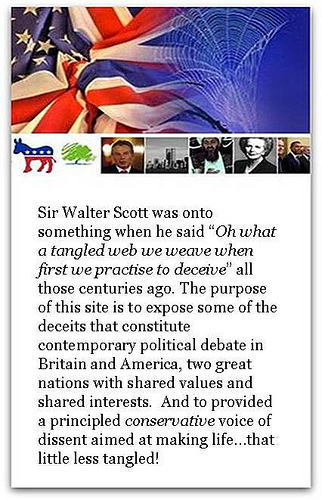 A Tangled Web » Blog Archive » Some people did something……. more dem insanity…. Laguna Beach Ca. Yes Phantom. I’m sure that Omar has made stupid comments. Those comments have enabled the racist in the White House to fire up his base. We will see a lot more of this soon. Peter – Imar’s comments have not merely been stupid. Stupid comments would not distinguish her among her Congressional colleagues. She has made grotesque comments downplaying terrorism and anti American and antisemitic comments. Begrudgingly offering half hearted apologies when pressed. Trump’so response to her while calculated was earned. She is being promoted and pampered by many Democratic politicians who are often not only incapable of responding to her, but some of whom think her ethnic background justifies whatever nonsense she says. I refer to them as the Committee to Re-elect the President. Because they’re always the victim. This Congresswoman is over the top and a disgrace. Why did Omar say something deliberately calculated to cause pain? Because she has no empathy with the bereaved. She has no empathy because she’s not American. She’s an outsider, from an outsider group and will always identify as an outsider. Mass immigration from backward cultures is a catastrophe. Her problem IMO is much more than a lack of empathy with those who were murdered. 9/11 is immaterial to her. She has advanced based upon grievance politics and that is the stream she will swim in. She is incapable of thinking ouside that space. I’d suggest that she has empathy with the culprits. Her words betray that. I’d be surprised otherwise. People are tribal. They are drawn to their own kind. Cultures cannot mix. Trust erodes and society Balkanises. Beware the peddlers of “diversity and enrichment”. They hate Western Civilisation. I almost wrote that myself. That is my very strong suspicion. She’s very bad news. As is the community that voted for such a personality. America is a mixture of cultures. Neither the culprits or those who trade in falsehoods about the attack can accept that. At bedrock level America is Christian, capitalist and common law. Dilute that and it’s downhill. At its bedrock it is a separation of church and state, a democratic capitalism and a constitutional law based on contributions from common law, civil law and statutory law. It is a stronger union than its left wing or right wing detractors claim. Who mentioned church or state? I said Christianity. It’s undeniable that Christianity’s cultural, customary, linguistic and political footprint on America is profound. Representative Omar is a disgrace and should be censured and removed from the House. She is fair game for Trump and he is entitled to pummel the fool. It is amazing she was elected. the people who elected here are a section of minnesota that was transformed into little somalia with refugees from a country where the people were raised to despise us, and have zero interest in assimilating into our society. She is representative of her district….. literally. totally off topic….. do other countries in the world embed camera crews in with their police to turn into TV shows? or is this only an American spectator sport? There are such shows in Australia, I believe in Finland and other places too. Such shows are really popular, and I imagine that the police departments enjoy cooperating with the programs. There’s a certain amount of fame that comes with it, and the public sees what police have to deal with. Similarly, ” Lockup ” inside real prison shows – which can be surprisingly good – are done in multiple countries. alright I was worried we were the only people that were engaged in this…..
EP – you missed several things EP.